Bingo,...platinum discs exist on both sides, ground and the center electrode, to last a long time. On GM wasted spark engines, those plugs last a long time...I have no idea if there is a cross-reference to work on redblocks converted to wasted spark setups. Any word on more conversion boards being made? price went up. are therr any differences between these and the first run form back in the day? In group buy form these were $50 each, but Karl sold them individually for $65. I had to raise the price by $2 to $67 each to cover the costs of running a web store. But the upsides are that transactions are quick and easy, and shipping is included, with a tracking number. This batch of boards is different from the first run, but I don't have all the details. I'll ask Karl to fill you in. right. it was a group buy. 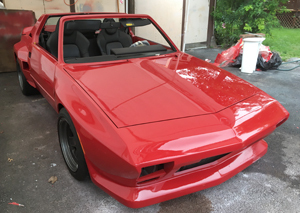 The design was updated to improve manufacturability. 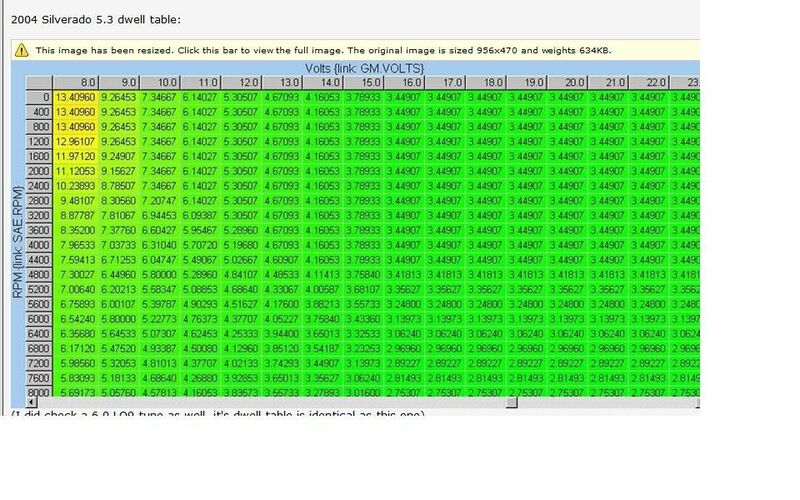 The differences are transparent to the end user (other than the fact that the newest boards are black instead of green). Been there and done that, and I'm a very satisfied customer. The order was acknowledged almost instantly, and the board was here in Oz within 10 days. Got my board within 3 days for $2 shipping. I have it all soldered onto the ezk board. Gonna try to use a newer (06 07?) Subaru coil with module built into it. Its a four wire coil. Power, ground, 1+4, 3+2. Anybody have any experience with this? Or another 4 wire coil? You wish you had some.. 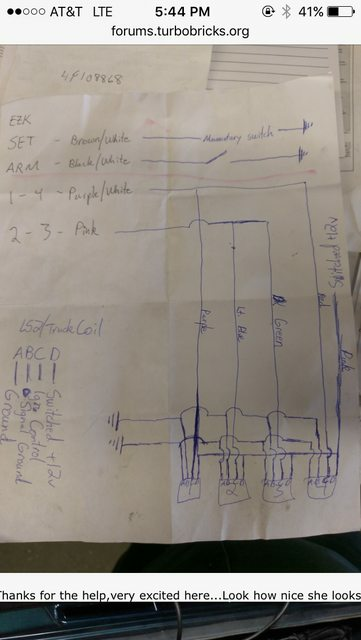 Some quick questions...Got my board about a month ago,had Shane solder it up for me and wired it up last night using his diagram. Using a goldbox EZK. ---Just pops and cranks like its out of time. --I sourced 12V from the factory coil power source -- Is that ok? --I grounded both grounds to the firewall(B and A) signal ground and ground. Am i missing something here? Should one of those grounds come from the factory powerstage? Do i keep the factory powerstage? When I searched this topic out, several years ago, my understanding then was "dwell time" might be an issue since 8 cylinders have a longer "wait" time before coil is charged (dwell time). Myself, I would find LS coil specs, and do the dwell-timing arithmetic. IIRC, for a 4 cylinder with wasted spark, one might exceed GM's timing-envelope specification with higher RPMs. I recently reviewed a 2015 forum thread about coil's dwell time, and then examined two different LS dwell tables here ( factory dwell table for an LQ9), and here (2004 Silverado 5.3 dwell table), from this forum. Based upon B230F NA LH 2.4 test I did back then, which I plan to recheck with another automotive DVOM in next several weeks, I found an OEM single coil's dwell time range of 6 ms to 3.5 ms (idle RPM to higher RPM). Vagman posted (May 15, 2013) in that Megasquirt Support Forum that "BTW apparently there are people who "boosted" these coils with up to 6+ms without any spark scatter issues." 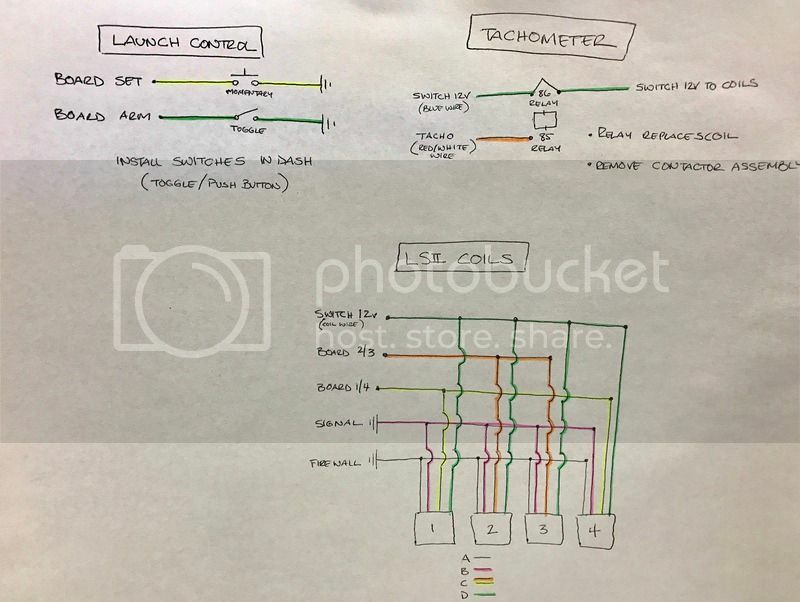 As such, if Vagman's statement is true, and NA LH 2.4 idle dwell of 6 ms is true, then these LS2 (D585) coils should not have an issue with wasted spark setup. I would have to see a LH coil dwell table if one was available, but as the RPMs increase, Bosch's LH coil dwell time may be quite similar to GM's dwells. Duty Cycle wise, a 4 cylinder wasted spark is higher than a 8 cylinder, but duty cycle is more relevant at sustained higher RPMs. If one wanted to be conservative, the power feed going to these LS2 coils could be dropped down a volt by using a resistor. Coil Dwell - I did a duty cycle test with a Fluke 78 Automotive Meter today at idle speed on 1993 B230F NA, and it showed 6% duty time. At 800 RPMs, it takes 75ms to rotate crank once, so 6% times 75ms equals a calculated coil dwell time 4.5ms. Using Mac Automotive Multimeter ET 332, it shows at idle rpm an average pulse width of coil around 5.7ms. Since these valves of 5.7ms vs 4.5ms should be similar, this indicates one of these values is bogus. From my reads, these higher energy coils, like Bosch LH 2.4's coil, do not take much dwell time to charge. A GM HEI coil, for instance, takes 3.6 milliseconds at 13 volts. Further, as RPM increases, there is less time to charge a single coil. 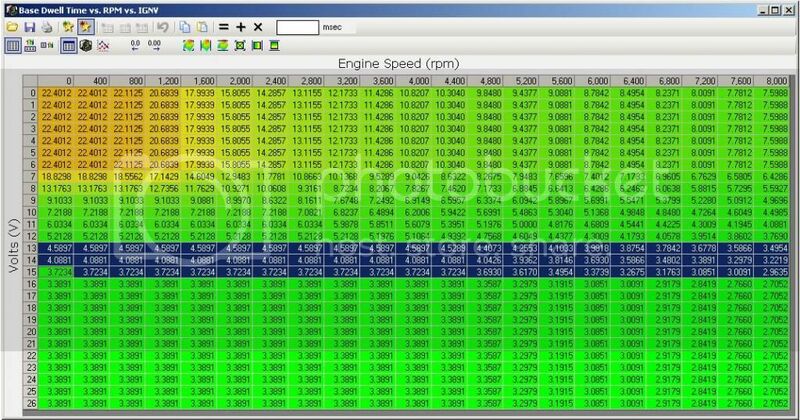 Consequently, to have a good spark throughout engine's RPM range on EFI vehicles, a coil's dwell time should match up to higher RPM, when possible. On a 4 cylinder engine @ 6000 rpm with a single coil, there is about 5 ms of time to charge a coil. Fluke meter showed via duty cycle calculation above to a coil dwell time of 4.5ms at idle. It's going to take a good scope to measure dwell time, unless Bosch's single coil specs can be found, but I suspect that Fluke meter's measurement might be more realistic. If true, using GM's LS2 (D585) coils should not be an issue, with respect to coil's dwell time. 04-24-2012....can anyone tell me if there are other powerstages i can use besides 0 227 100 203? Here are the specs for the 0 227 100 203, which is similar to the 0 227 100 211 . Bosch 0 227 100 211 "is an external ignition power stage capable of supplying up to four non-transistorized ignition coils." It can be setup for wasted spark (2x2) or four coils. Offhand, I suspect if four stand-alone coils are used, then sequential firing might be advised. 4 stand alone coils drawing say 8 amps each in wasted spark setup will generate heat in this power module, and I can't say if this module can take it with 4 separate coils in a wasted spark setup. 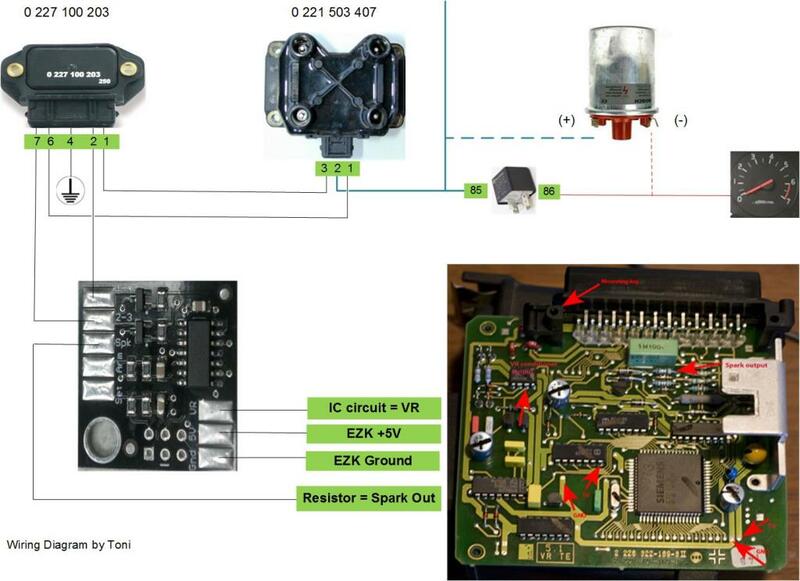 Bosch shows how to create a simple driver board (igniter) in both of these spec sheets, btw. 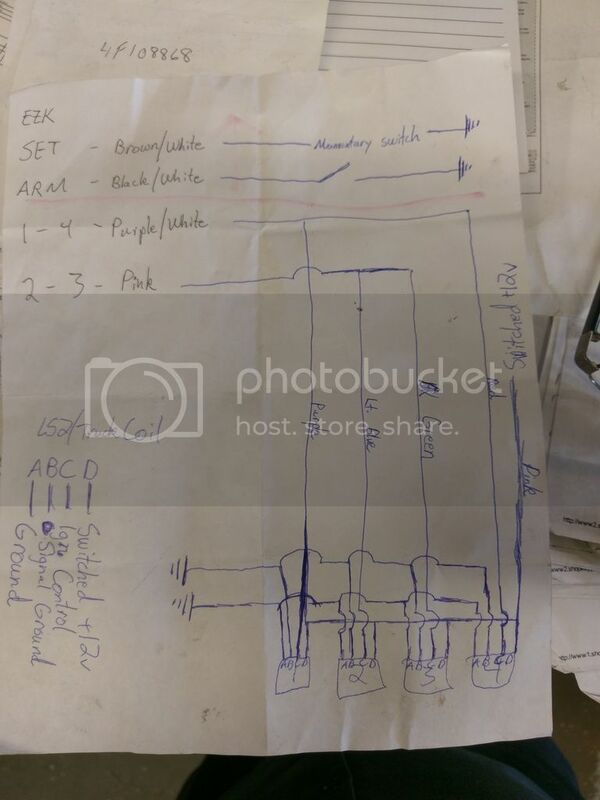 cribbj ("Supra" Moderator) posted a wiring setup, about eight posts down in that forum, for this powerstage. "This setup has a similar approach and precision as the very effective Marelli AEI200/Magnetic pickup setup in late GT4/GTB/GTS cars, but delivers 33% more power due to the higher coil current (and 100% more power compared to the factory points setup)." As a side note, that after market kit would be nice to install in a distributor with points. So, this Bosch coil, 0 221 122 334, can soak up 8 amps and will generate a high energy spark. GM's LS2 (D585) coils can absorb close to 10 amps if 5 ms of coil-dwell time exist. Wasted spark is an improvement over OEM setup, but for the most spark power, sequential firing setup is needed. My two cents, if I used a wasted spark setup, I would consider either of those Double-spark ignition coils mentioned in this thread, but I'd learn towards the Ford coil, 8241, since they would be in stock in most auto supplies. After speaking to super boosted and redrawing his diagram because thats how my brain works. (I draw it, I understand it) I think I understand what I am doing. My question is, I want to get my car running in perfect order before I add all the +T stuff. Which means I want to have the wasted spark conversion up and running. 1. 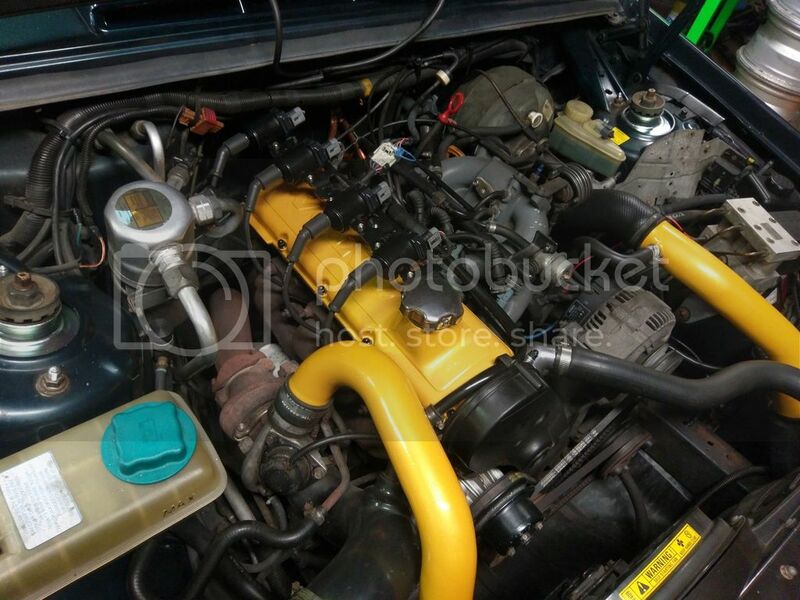 Can I run a Turbo EZK with and N/A ECU till I complete the +T? I didn't realize the difference in the ezk's was literally a "chip" that I can swap. I don't mind moving the n/a chip into the gold box. I can burn stock chips and send you one no problem. I bought a few hundred blanks last year. Let me know if you need stock bin chip cheep. 10 buxs. One thing that I'm still confused about all these years is the stock EZK chips I've tried to erase and reuse. I've never been able to. Half the chip is FF's and the other half is 00's. Anybody got any knowledge about why that is that. Last edited by sbabbs; 06-02-2017 at 12:45 AM..
That would be great. Send me a PM with your Payapal. That way I can for sure make the gold box n/a tuned until I am ready to turbo, then switch to TLAO chips. For the SET switch does it need to be a momentary or I can use a normal toggle switch and for the ARM which brake switch do I need to use (automatic) to complete the circuit ground after the toggle has been activated, cause there's two switches​ on the brake pedal the small black one in front and the one that's​ behind the pedal. Last edited by Niko9898; 07-09-2017 at 04:24 AM.. Curious about this - as I just put in WR7DP's about 80 miles ago & now have a 'breakup' that occurs during a steady throttle increase run - I was just trying to figure out what variables could cause the breakup, and forgot that I had put these in. I'll switch them back out for WR7DC's to rule out the plug, but I'm curious if anyone has specific notes plug types that induce erratic behavior?